It wasn’t long ago that the idea of a pre-IPO tech startup with a $1 billion market value was a fantasy. Google GOOG 0.65% was never worth $1 billion as a private company. Neither was Amazon AMZN 0.10% nor any other alumnus of the original dotcom class. 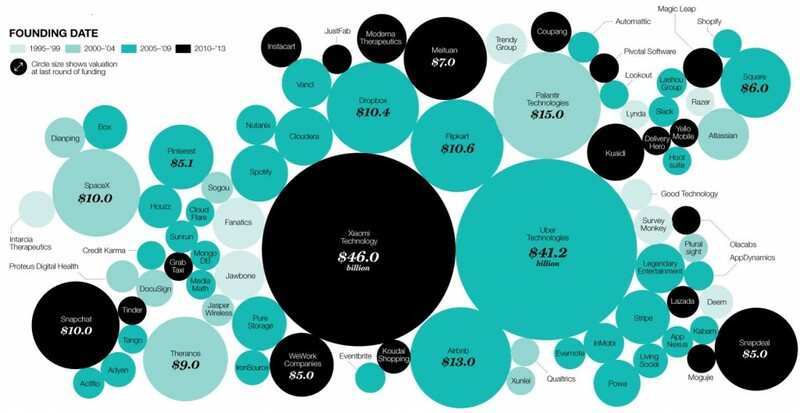 Today the technology industry is crowded with billion-dollar startups. 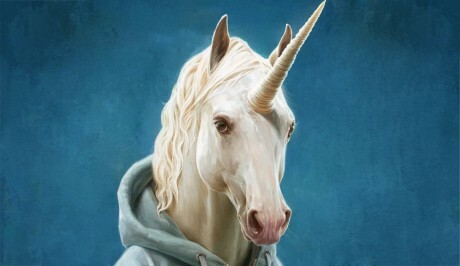 When Cowboy Ventures founder Aileen Leecoined the term unicorn as a label for such corporate creatures in a November 2013 TechCrunch blog post, just 39 of the past decade’s VC-backed U.S. software startups had topped the $1 billion valuation mark. Now, casting a wider net, Fortune counts more than 80 startups that have been valued at $1 billion or more by venture capitalists (full list here). And given that these companies are privately held, a few are sure to have escaped our detection. The rise of the unicorn has occurred rapidly and without much warning, and it’s starting to freak some people out. Not content to run with the pack—or “blessing,” as a group of unicorns is sometimes known—venture capitalists have begun targeting even bigger game. They’re now hunting startups with the potential to rapidly reach a $10 billion valuation—or, as Green calls them, “decacorns.” In late 2013 just one private company had crossed that threshold: Facebook FB -1.51% . Now there are at least eight, including Uber, the on-demand car service worth $41.2 billion. Its valuation is higher than the market capitalization of at least 70% of the companies in theFortune 500. It also doesn’t hurt that American corporations have record-breaking stockpiles of cash on their balance sheets. Facebook set tongues wagging when it paid $19 billion for instant-messaging startup WhatsApp last March, then followed it up a month later by shelling out $2 billion for virtual reality headset maker Oculus VR. In 2014, Google paid $3.2 billion for smart thermostat maker Nest, Apple AAPL -0.84% acquired headphone maker Beats for $3 billion, and Microsoft spent $2.5 billion to own the Swedish gaming startup responsible for Minecraft. Even health care VCs cashed in, selling Seragon Pharmaceuticals to Genentech for upwards of $1.7 billion. Several unicorns have already experienced a pullback. Open-source software company Hortonworks HDP 2.94% was valued at $1 billion by private investors but lowered its market cap to $666 million when it went public last December. (It has since crossed back over the $1 billion mark in market value.) Box, the data storage company credited with making enterprise technology cool, was preparing to hold an IPO just days after this magazine went to press. Its initial valuation was expected to be at least 30% lower than the $2.4 billion it commanded from private investors like TPG Capital last summer.